Located on the banks of the mesmerizing Rock River in northern Illinois, the city of Rockford guarantees a multitude of athletic venues and things to do for your next sports trip. The stunning city of Rockford comprises a dream venue for sports planners, as it allows visitors to revel in numerous engaging attractions, comfortable accommodations and phenomenal athletic facilities. 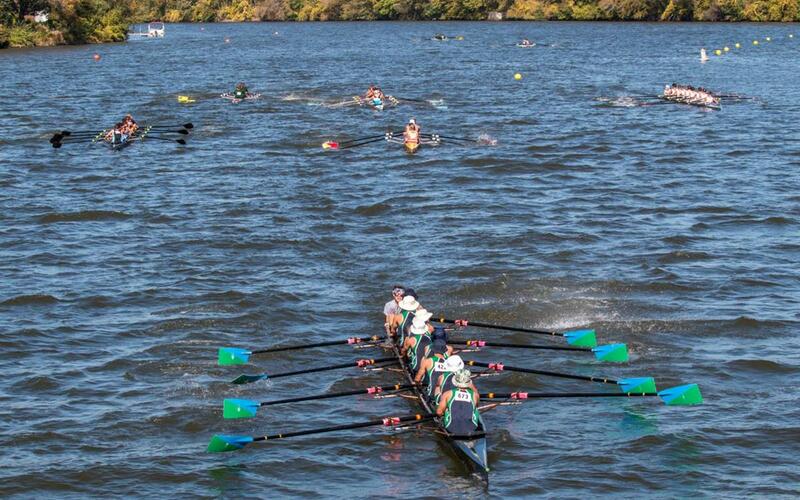 A top-tier host of sports nationally, Rockford is no stranger to herds of teams visiting, and provides ample space for tournaments and leisure activities. Aside from spacious fields and stadiums, the multitude of museums, restaurants, retail stores and entertainment options will keep athletes and families engaged every minute of their trip. If you’re hoping to participate in some recreational activities away from competitive games, a tour of a famous Frank Lloyd Wright house might interest you. Maybe even sightseeing at one of several breathtaking gardens or state parks might strike your fancy. Sports teams and their families will be ecstatic when they learn about all there is to do, and after competitions, be sure to take advantage of Rockford’s historic and cultural diversion spots. Of course, sports planners will find ease in choosing from many different facilities that Rockford has to offer, including top-notch sports centers, adventure parks, fields, stadiums, arenas and complexes that all ensure your athletes’ safety and comfort. Anticipate the best when you bring your next sporting event to Rockford. 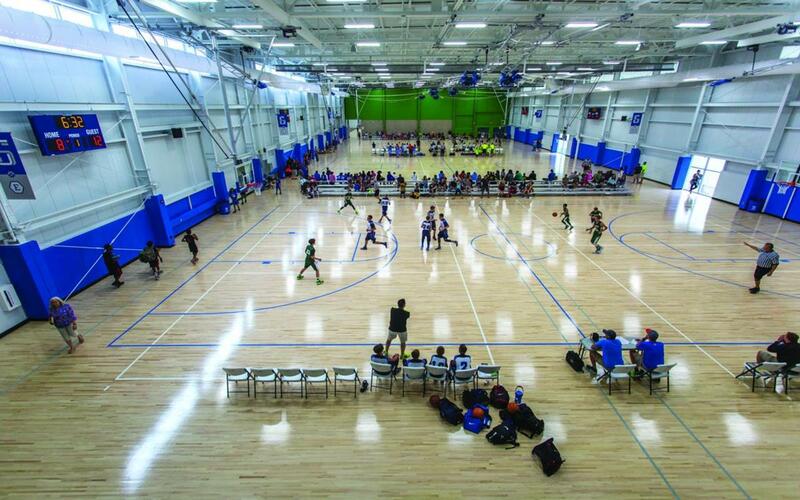 With its grand opening in 2016, this new indoor sports facility spotlights 108,000 square-feet (96,000 square feet of hard court surface) of space for your upcoming tournament. One of the largest facilities in the Midwest, the venue is comprised of eight basketball courts, 16 volleyball courts, 16 wrestling mats and accommodations for other indoor sports. With a maximum capacity of 3,700 spectators, UW Health Sports Factory spotlights north and south courts, and a cham-pions court with seating for up to 400 people. Spacious outdoor areas overlook the Rock River with a south patio area. A full-service sports restaurant with a dazzling 180-degree view of the river and north and south courts seats 160 guests, ideal for downtime in between games. Com-fortable meeting spaces provide ample room for visitors, with the lower meeting room seating up to 50 people, while the upper meeting room seats up to 14 people. The main level is composed of a lobby area, offices and concessions, ideal for families to kill time throughout a long tournament. Parking is conveniently available with up to 451 spaces. This state-of-the-art sports facility will be sure to impress with 180 acres of courts, fields, con-cessions and other favorable amenities. The expansive complex features 26 outdoor soccer fields including seven turf/lighted fields, three sand volleyball courts, a playground, a 4,500-square-foot outdoor concession/restroom building, a tournament staging area for pictures and onsite parking with more than 2,000 spaces. The Indoor Mega Center is a multi-sport complex consist-ing of 60,000 square-feet of multi-purpose courts and fields, a full-size (120-by-80-yards, equal to four indoor soccer fields) turf field with 70-foot ceilings, locker rooms, a sports equipment store and Skybox dining overlooking the fields. The existing indoor sports center has plans to convert to turf on both sides. The vast Wedgebury Stadium seats up to 2,500 spectators, and has been refurbished to include a new synthetic turf field, NCAA professional lighting, restroom buildings, improved pathways and upgrades to bleachers and a press box. 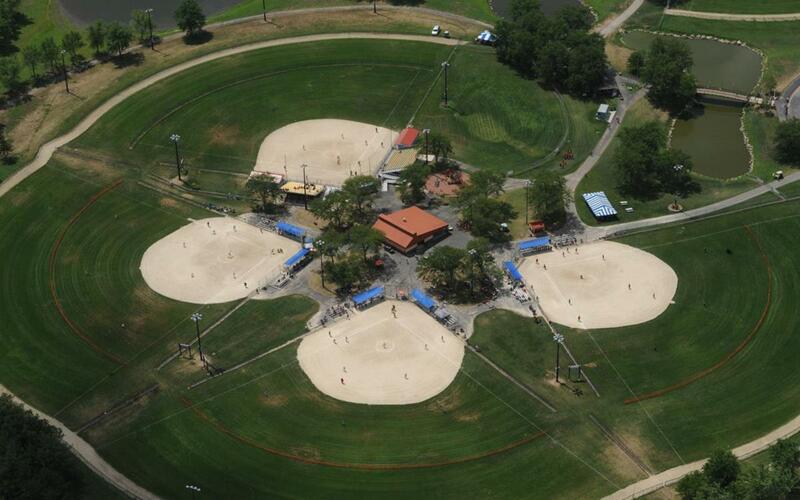 Don’t miss out on this nationally-acclaimed athletic complex for your future championship game or sports tournament. Nationally recognized as a premier host of soccer, softball, baseball, Ultimate frisbee and other sports tournaments, this first-rate sports establishment is an excellent option for athletes to duel it out in a nail-biting competition. Spanning 147 acres, the venue includes 18 soccer fields, eight lighted baseball/softball diamonds, an indoor soccer building, two playgrounds, a fishing pond, a boat ramp, a recreation path and concessions. Aside for competition use, athletes can enjoy rec-reational activities such as fishing, running and biking when they are not busy strategizing against their opponent. If you’re running late to a game, you won’t need to worry about parking, as the complex is equipped with more than 500 parking spaces. Take your future water sporting event to the next level at the endless Rock River, approximately 300 miles long and ideal for long canoe and boat rides. Stretching from Fond du Lac County, WI through the Mississippi River, Rock River gives visitors the chance to partake in competitive and recreational activities such as canoeing, boating, rafting, fishing and so much more. The river is surrounded by natural, picturesque beauty and historic and cultural resources at your disposal. Recreation paths and trails have been created along the sweeping river, suitable for skiing, paddle boarding, driving, hiking and biking. With its navigable courses and deluxe travel accommo-dations nearby, Rock River promises hospitable services and obliging amenities. This award-winning racing track is geared for riders of all competencies, and has been serving locals and out-of-state visitors for several decades. 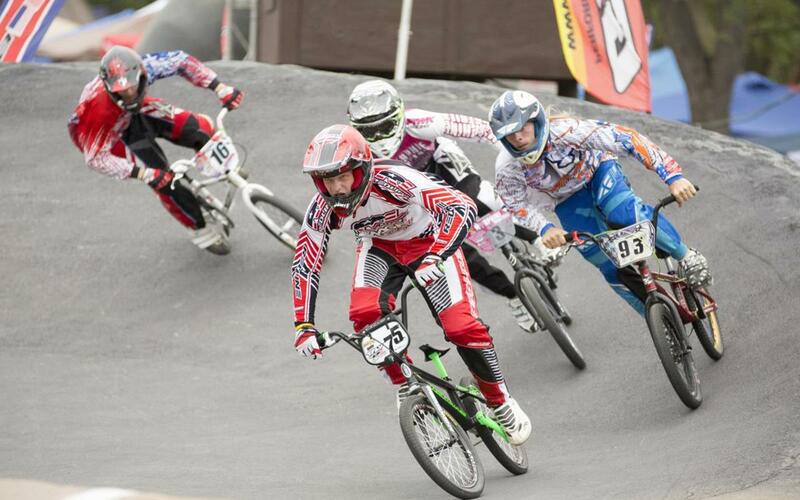 Camps and programs taught by seasoned BMX riders allow children to get their feet wet in the sport. The top-line racecourse hosts the Midwest Nationals and several Race For Life events each year. Located just ten minutes from downtown Richmond, Searls Park is close to Rock River, several forest preserves and even an equestrian center, giving spectators the opportunity to take in the city’s pure beauty. Enjoy a beautiful day at the lake at the scenic West Rock Wake Park at Levings Lake, an outdoor water venue committed to fun, safe water adventures. The park’s revolutionary technology is catered for all skill-levels and removes the need for boats to water ski or wakeboard with brand new, rapid cable-tow systems. All skill levels are welcome, and even if you’re not too experienced in the water, the park guarantees fun for everyone. 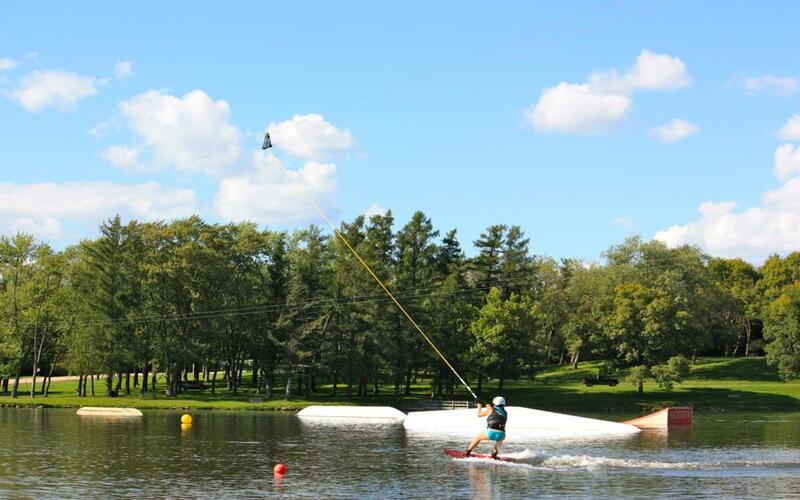 West Rock Wake Park is located in southwest Rockford off the U.S. Route 20, and is open from May to October. Don’t miss your chance to hit the water slopes or just simply relax and tan lakeside. Where’s one place where you can find a snow park, ziplining and a five-hole golf course all at a single location? Alpine Hills Adventure Park offers 52 acres of fun for families and children of all ages. Athletes will appreciate the opportunity to show off their skills on the winter ski slopes, or maybe even tee-off at the deluxe golf course. 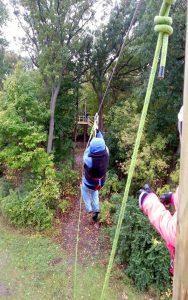 Be bold and take on the enthralling zipline at the park’s Zip Rockford, made possible by Rockford-based EBL Zipline Tours partnered with Rock-ford Park District. The 5-acre snow park has separate tubing and terrain park sections for visitors of all skill-levels, and on-site snowmaking equipment makes the park a snowy adventure as tem-peratures permit. User-oriented ski lifts make maneuvering to the mountaintops easier and more enjoyable, and when you need a break from the slopes, the lodge has snacks and beverages awaiting. The First Tee of Greater Rockford offers educational programs to promote sportsman-ship and character in the game of golf at the grand golf center. Just 10 minutes from downtown Rockford, affordable rates and heaps of fun keep visitors coming back each year. Sports planners know the trials and tribulations often associated with arranging an athletic event, especially for away games and tournaments. 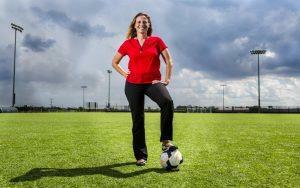 Fortunately, Rockford makes accessing sports venues and finding activities for both athletes and families worry-free. Rockford incorporates a host of specialty shops, dining options and accommodations available to make your stay the best it can be. Traveling to Rockford will give your team the opportunity to visit Laurent House Museum, designed by Frank Lloyd Wright and famously known as the only home in Illinois designed by the architect for a person with a disability. Enjoy the natural beauty of the city by touring the calming Anderson Japanese Gardens, composed of flowing waterfalls, tranquil streams and beautiful gardens. Continue your nature walk in the captivating Nicholas Conservatory and Gardens, simulating the gorgeous tropics with special water features and sculptures right along the breathtaking Rock River. Additionally, children will appreciate the chance to explore the Discovery Center Museum, featuring more than 250 interactive art and science exhibits. Check out Rock Cut State Park, perfect for swimming, fishing, canoeing, camping, hiking and birdwatching. Rockford is undoubtedly far from short on attractions and accommodations, and will be sure to keep teams and families entertained with a plethora of restaurants, retail stores, museums and so much more to choose from. The Rockford Area Convention & Visitors Bureau in conjunction with the Rockford Park District provided a first-class venue and excellent support for our Division III College Championships. The service provided along with the hospitality shown has made Rockford one of our go-to places for future events. We had a fantastic experience working with the Rockford Area Convention & Visitors Bureau hosting the 2017 Synchronized Skating National Championships. The entire team at the RACVB was a tremendous resource in coordinating the activities with the numerous hotels, venues and restaurants throughout the area. It was a pleasure to work with such a dedicated team that truly wanted to make the event a special experience for the competitors and their families. The Rockford Area Convention & Visitors Bureau have always played an extremely important part in the success of our Tournaments throughout the years. The Service and Hospitality that they RACVB displays to our tournament participants is exceptional every single event that we run. Our Tournaments have continued to increase every single year and the RACVB plays a big part in that. By Car: Rockford is connected to many areas of Illinois, Wisconsin (Madison, Milwaukee) and Iowa (Dubuque) by highway. U.S. Route 20 passes through Rockford twice, and provides connections to Freeport, Galena and Dubuque. Interstate 90 connects Rockford to Madison, Milwaukee and the northwest Chicago suburbs. Interstate 39 directly links Rockford to Bloomington-Normal and supplies access points to Peoria and the Quad Cities. By Air: Rockford allows easy access to O’Hare International Airport, located one hour and 15 minutes from the city. The airport services over 40 airlines, including American Airlines, Delta and United. Situated roughly two hours from the city, Midway International Airport offers easy access to Rockford and services five airlines, including Delta and Southwest. Chicago Rockford International Airport is located within the city itself and services Allegiant Air, making travel painless and stress-free.